In this new poll, conservative rightwing candidate Mr. Jair Bolsonaro continues to surge ahead of the pack with now 22 percent of the vote. The survey released by polling firm Ibote has leftwing environmentalist candidate Ms. Marina Silva and center-left Mr. Ciro Gomes tied in second place with both 12 percent. It is expected that Ms. Silva will profit the most from the failure of the PT to deliver a credible candidate. Related coverage: <a href="https://thegoldwater.com/news/36179-Brazil-Election-Worker-s-Party-Candidate-Haddad-Also-Charged-With-Corruption"> Brazil Election - Worker’s Party Candidate Haddad Also Charged With Corruption</a>. Mr. Lula's likely successor of the Workers Party, Mr. Fernando Haddad, came in last with 6 percent only, behind centrist Mr. Alckmin at 9%. The biggest unknown in the current presidential polling is that almost a third of the population is undecided, making this one of the most unpredictable presidential elections in the country's history. Although most political analysts now admit that Mr. Bolsonaro will likely make it past the first round (conducted on 7 October), it is unclear who he will face or what the voting intentions of Brazilians will be in the second round (to be held on 28 October). The generic disillusionment with the endless corruption scandals that have plagued Brazil's traditional leaders, the Workers Party or PT, mean that many of these voters have indicated to pollsters that they will either vote blank or not at all. 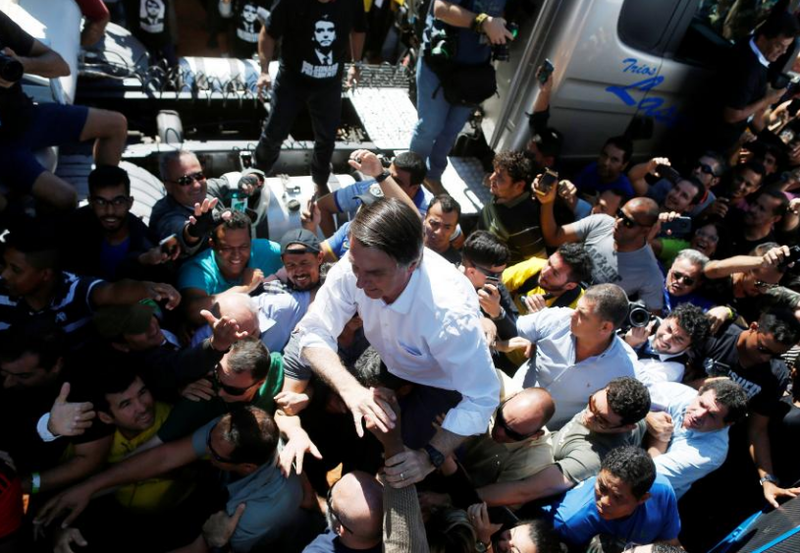 "We're going to sweep the leaders of these parties into the dustbin of history," Mr. Bolsonaro said to several thousand backers at a rally in a working-class suburb of Brasilia. "Brazil cannot stand another government by the PT or PSDB." At the same time, former President Lula da Silva’s lawyers filed two legal appeals hoping to still reverse the court ruling against his candidacy. One was filed at the Supreme Federal Court and the other was filed at the electoral court. However, the appeal is likely to end in failure as political analysts represent a last-ditch effort that analysts view as unlikely to be successful since both courts have already ruled against Lula, once to jail him and then to deny his presidential run.